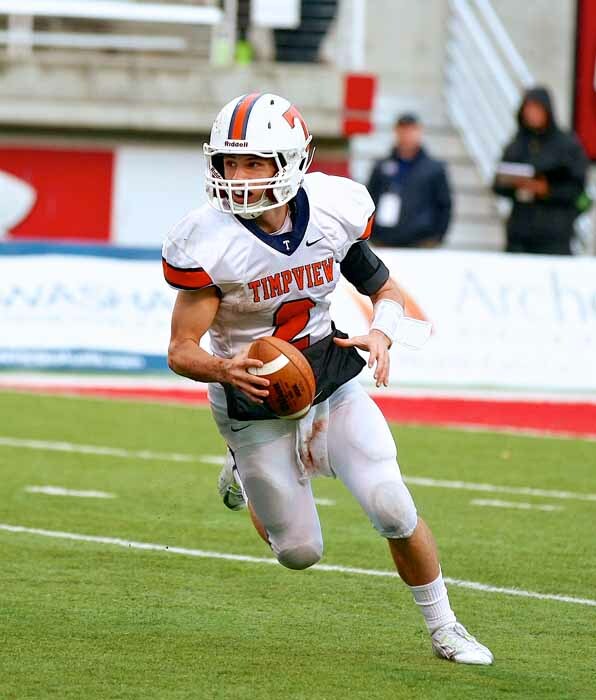 Timpview is very much at home at Rice-Eccles Stadium, having won the last two 4A state championships and seven of the last 10. That’s a lot of recent history that Roy will be facing when the two teams hook up at 6:30 p.m. Friday night for the state title. The Royals may not have been here for a while, but their head coach Fred Fernandes is no stranger to championship-level play. He previously coached Northridge to three straight titles. 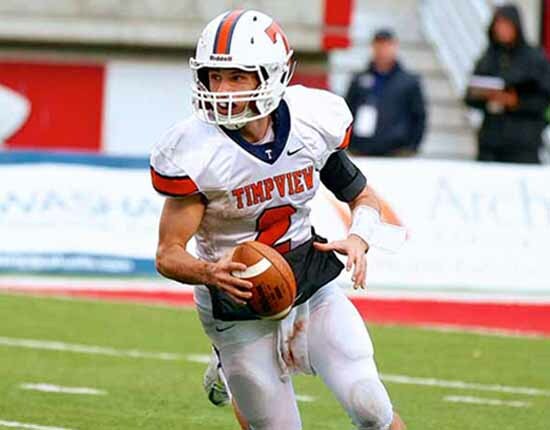 That experience will come in handy when matching wits with Thunderbird head coach Cary Whittingham, who is 11-0 in postseason games as he comes to the end of his third season running the Timpview program. Whittingham doesn’t think there is much of an advantage anyway. These two teams have a lot in common as they like to set up the pass with their ability to run the football. The difference comes in when you look at who is carrying the ball. The Royals use a two-back set and run both halfback Matty Matautia and fullback Baby Tee Eteuati equally well. All of that sets up quarterback Tyler Skidmore, who likes to move around in the pocket and push the ball down the field to a corps of receivers that includes 6-foot-2 Cody Hobbs who will go up and get anything and speedy Nate Jones. 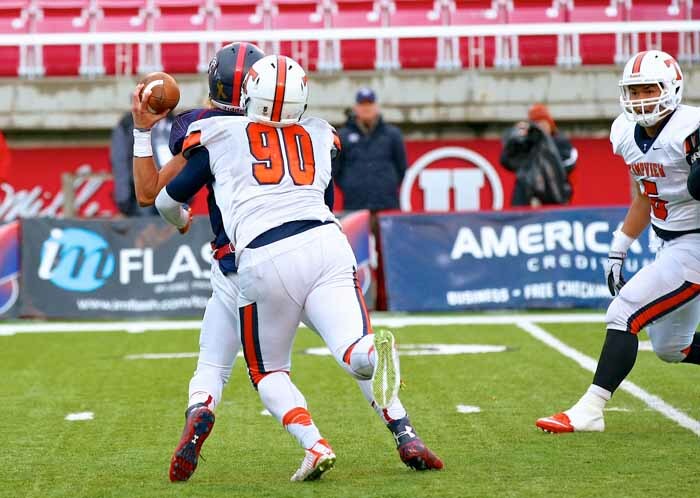 Timpview runs some with Saia Folaumahina out of the backfield, but the biggest weapon in its running game is the same as the primary piece of the passing arsenal – quarterback Britain Covey. The threat of the elusive 5-10, 170-pounder breaking from the pocket or taking off on a designed run is enough to keep any defense honest. It may be that the team who wins this game will do so because of its ability to get down the field vertically. It’s the limiting of those chances where things will be interesting. These teams get a lot of credit for what they do with the ball in their hands, but both really have built their success with defense. 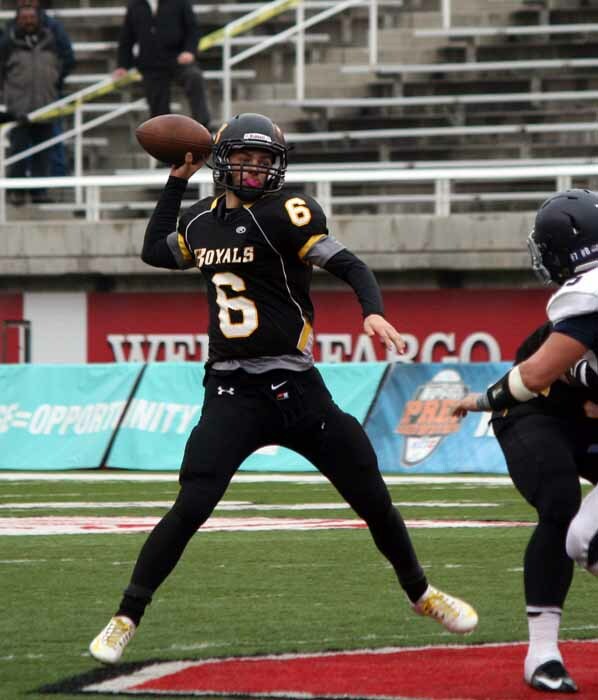 Both enter this game unbeaten largely because they limit your ability to get comfortable on offense, as evidenced by the dominating games of last week, when Roy shut out Corner Canyon and Timpview kept the Woods Cross offense in check after an early touchdown. Hobbs, Jones, James Martinez and Brandon Storey lead a physical and aggressive Royals’ defense. Their job Friday is to keep Covey from getting out and making plays. They need to match his athletic ability with their own and this is a very athletic defense. The problem with Covey is that he is an accurate thrower and when he gets your defense running around worrying about his running and his ability to change directions on the fly, it becomes easy to lose contact with your coverage, and that’s when the game gets away. Likewise, Roy has the ability to strike quickly on offense if you’re not careful. The T-Birds are sure to bring the pressure, but they usually do that with their front four, led by Gabe Reid. That leaves them with a good situation in coverage. When Skidmore starts to move, it’s generally more about buying time for a throw than it is to run for big yardage, but he is really good at finding his receivers open down field when he is on the go. If the game is tight, the Thunderbirds are not afraid to unleash their not-so-secret weapon. They have already used Covey in the return game this postseason and they won’t hesitate to do it again. With both of these teams capable of running up big numbers on offense, the start will be critical.